Every new school year, there is another wave of students ready to move off-campus. Clemson, South Carolina is no different, thanks to the presence of Clemson University, which is considered the cultural center of the city. If you’re a student ready to move off-campus, then you’re probably both excited and nervous about making your new place your new place. Along with decor, cooking, paying bills, and figuring out a new commute, have you thought about what technology you’ll need in your new place? Your school and your social life depend in large part on the quality of technology you have. Clemson offers a great technology center to help students navigate this element of college life. The university makes it incredibly clear that technology will be central to the university experience. If you’re moving away from a university-outfitted dorm, you’ll want to establish yourself with adequate access to technology wherever you may be. In 2016, there were an estimated 2.1 billion smartphone users in the world. So chances are you probably already have a smartphone. But is it working at its highest capacity? From taking notes in class to accessing emails, connectivity to the internet via your smartphone makes it arguably one of the most necessary appliances you need for school today — especially for college. Sure, nobody is forcing you to be interconnected, but think about how much more easily you can set up group meetings and make plans when your smartphone is fast and reliable. Additionally all official university communication comes via email. You may miss important updates about classes or time-sensitive requirements if you aren’t able to easily access your email. Old-school charm can become frustrating when your Jurassic flip phone makes it difficult to type up a long text message. Speaking of high-speed tasks that need to be done, you will need reliably fast internet at your new place. Clemson offers all students access to tech products like Adobe Creative Cloud and cloud storage, and you need to be able to access tools wherever you are. Aside from that, imagine how awful it would be if you are Skyping or FaceTiming your parents and the slow internet pixelates the picture. Or if you’re writing a paper on Google Drive and it won’t save because of spotty internet. Do yourself a favor and find a high-speed internet package that has a value worth the quality. The fact is, unless you plan to do all of your homework and research in the library, you need internet at home. Especially as an upperclassman, it will be imperative for you to have access to the amazing research sources made available through the university’s Cyber infrastructure Technology Integration initiative. The good people at AT&T Clemson will set you up with a package that fits, so you can get back to writing that paper that’s due uncomfortably soon. Watching television brings people together. Studies show we spend around four hours a day watching television. And there’s nothing wrong with that! Families and groups of friends gather to watch a show now, just like they did in the 1950s. The difference is that now you likely watch a show with your smartphone in your hand. 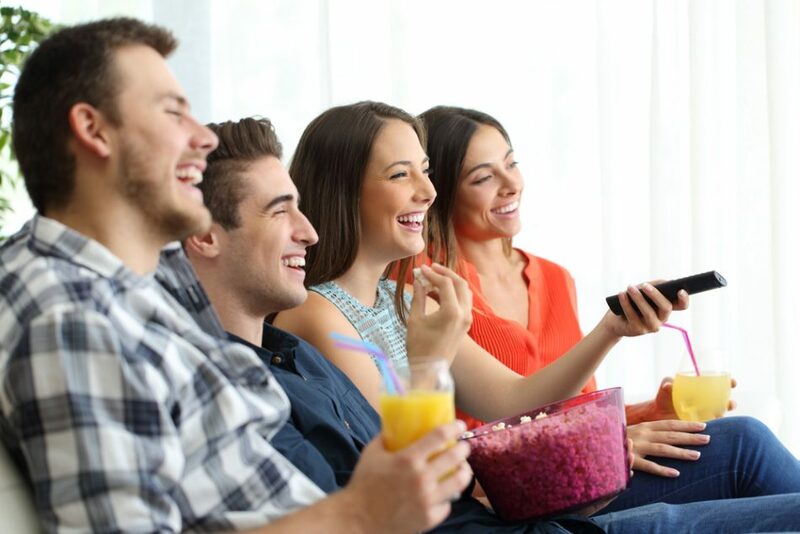 To make your new living room feel like home, there are two things you’ll need: one is the perfect TV package and the other is a high-quality smartphone. There are plenty of AT&T stores in South Carolina, and lucky for you there’s one in Clemson that’s just a four-minute drive from campus. If you go down to your local store, the tech specialists there can help you choose what TV package is right for you. They have both DIRECTV and Apple TV options, if you have a preference or if you want to combine services. They can also simplify complicated TV packages, whether they include satellite, cable, streaming or DVR service. By going into a brick-and-mortar store, you can ask straightforward questions to make sure you’re getting the best bang for your buck. Moving into your new place doesn’t have to be scary. It also doesn’t have to make you feel like you can’t handle all of the bits and pieces that come with renting a space. When you master the tech side of things, you can spend more time decorating and streaming music than worrying about how you’re going to bring your apartment into the 21st century. Once it’s all together, you will make incredible memories in your new space.